There are few people around today who will deny that society is on a highly unsustainable path. We therefore know that we have to make some serious changes, but just what these changes should look like remains a topic of great debate. Two general pathways are usually considered: a technology pathway where our brilliant scientists develop a wide range of new gadgets which solve all of our problems and a lifestyle change pathway where people willingly reduce their consumption. It is a fairly safe bet that we will ultimately need both of these solutions, but it is highly likely that the lifestyle change pathway will turn out to be much more important than the technology pathway. For example, given the fact that we already consume like we had 1.5 planets and the top 10% is responsible for about 60% of total resource consumption, we would need about 9 planets to sustain our society if everyone consumed like the top 10%. 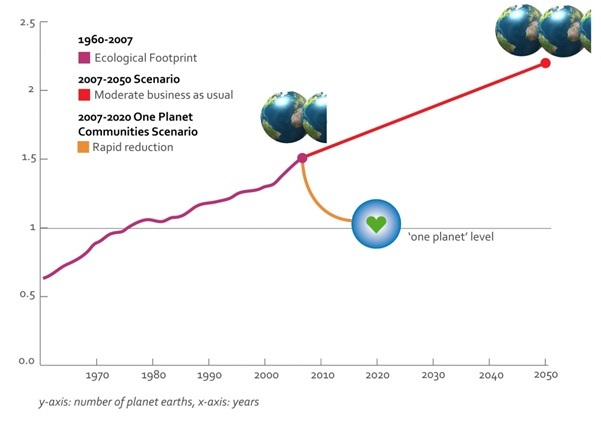 The chances that technology can extract the resource equivalent of an additional 8 planets from the one planet we have is close to zero, especially if we consider that the resources that made our entire industrialized society possible, fossil fuels, are rapidly depleting and causing climate change. It is easy for the layman to look at sensationalist headlines proclaiming revolutionary new breakthroughs in solar power, nanotechnology or 3D printing and conclude that the power of human innovation is limitless. However, the scientists and engineers responsible for developing and deploying this new technology know that such headlines are far removed from objective reality and that the actual real-world impact of many so-called breakthroughs will be much smaller than reported. I know because I am one of those scientists. 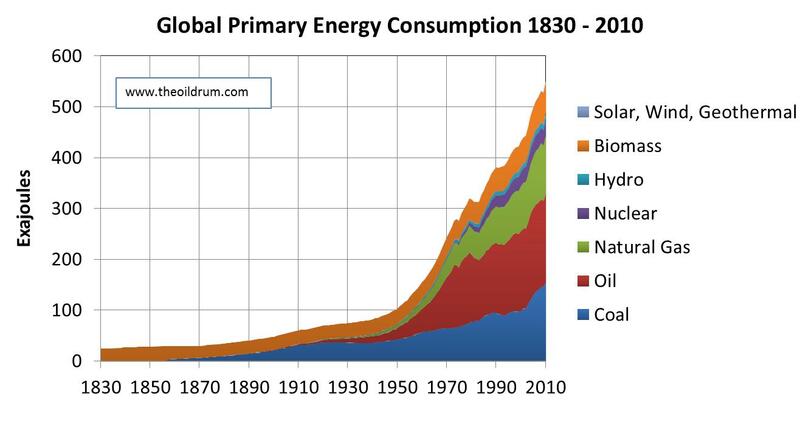 That being said, however, technology has a vital role to play in the longer term to allow us to transition from fossil energy (which currently supplies close to 90% of our total energy needs) to alternative and sustainable sources. Using current technology, no amount of lifestyle change can sustain 7+ billion people on this earth without the use of fossil fuels. Fortunately, we humans are an innovative species and technology will keep on marching forward, especially as innovation becomes more and more important to secure the future of our civilization. However, decarbonizing our totally fossil fuel reliant economy while maintaining current levels of consumption will be very difficult, let alone securing the tenfold increase in total consumption required to advance the living standards of billions of developing world citizens to Western standards. This is where lifestyle change comes in. As often mentioned on this blog, a little bit of mental control can bring great gains in health, wealth and happiness on a fraction of current consumption. 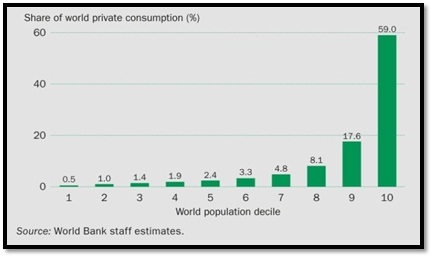 In fact, developed world citizens are already decreasing their consumption (although very unwillingly). 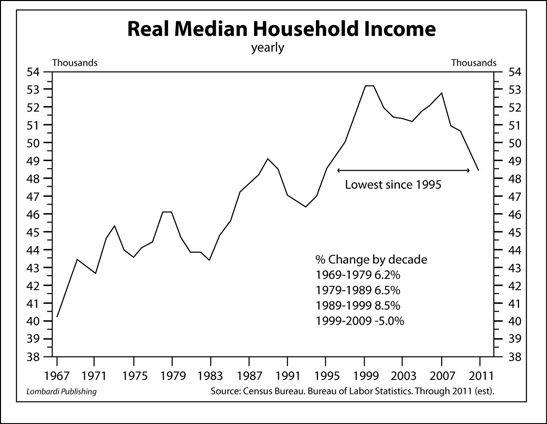 Median American wealth and income have fallen to levels last seen in the early 90s while Europe is mired in a never-ending recession with record unemployment. It is therefore clear that we can therefore either do it the easy way (mental control and lifestyle change) or the hard way (unemployment and bankruptcy). The problem is that our consumerist society has conditioned us to unthinkingly chase happiness through consumption and ignore or deny any problems created by this paradigm. This is a very dangerous game to play and we will need to see a large scale paradigm shift fairly soon if we are to avoid a few very unpleasant surprises in the 21st century.